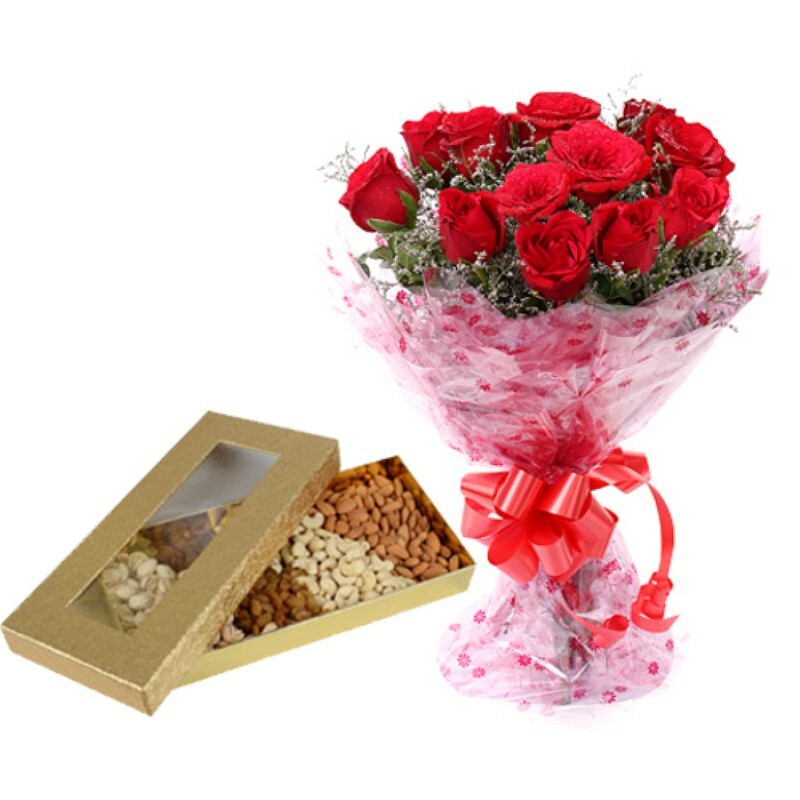 Product Consists : Bunch of 12 Red Roses along with 500 Gms Mix Dry fruits Box. The simplest and of choice the best way to say I love you just simply send red roses on Valentines Day. 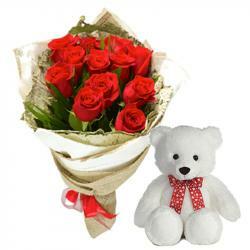 Here we have present you a beautiful Red Roses in hand tied bunch. This beautiful Bunch of twelve stems of roses, a romantic assembled in red color with lots of green filler along with the beautiful ribbon bow on it . This will be surely conveying your love message to special person. 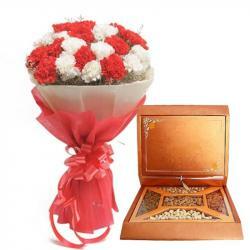 Special one feels more special by receiving assorted dry fruits box. 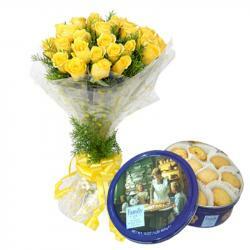 So go ahead and by this gift hamper now and get delivery anywhere in India. 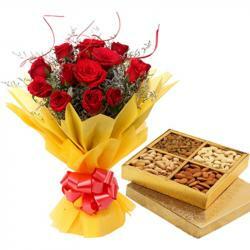 Product Includes: Bunch of 12 Red Roses along with 500 Gms Mix Dry fruits Box.